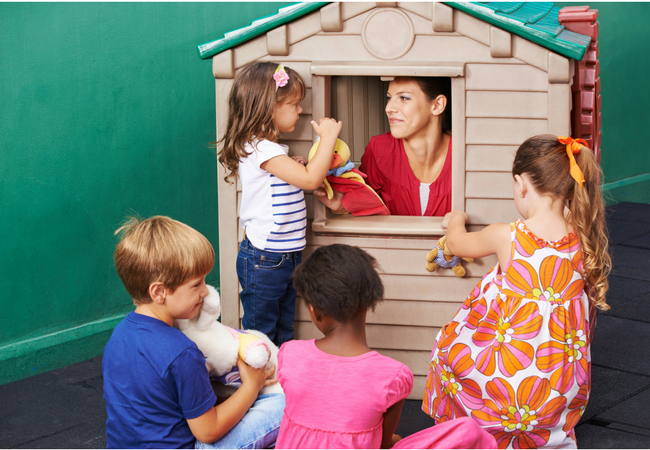 When you walk into a good preschool classroom, you will see varied learning areas; a variety of opportunities for students to explore their developing skills playfully. 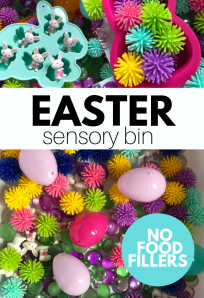 You will see materials that have more than one way to be used and children who are engaged with these materials. Most importantly you will see a teacher playing with her students. 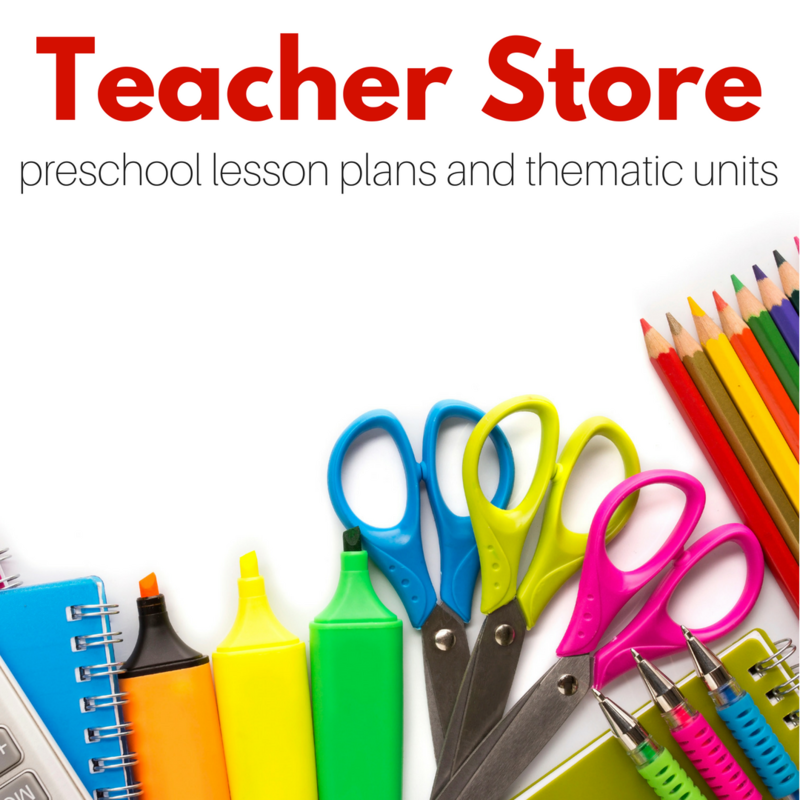 What you may not see but is present in a good preschool classroom is a teacher carefully selecting the materials, to fit the students’ specific developmental levels. 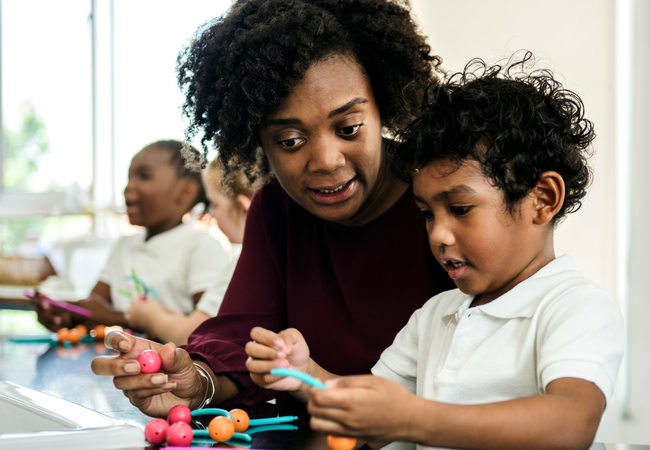 You may not see that when that teacher is playing, he is shifting how he speaks, what questions he asks, and how he models using the materials based on the child using it. This is differentiation in preschool. Differentiation means adjusting or changing the lesson and its goals based on the specific needs of the learner. 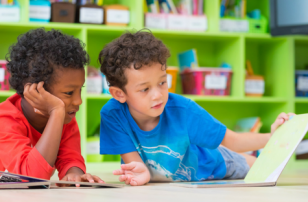 In a playful preschool environment, differentiation is subtle and takes some practice to do really well, but once you get in the habit, it’s second nature. Amanda Morgan beautifully paints the picture of how development works and I will break it down bluntly; children are simply not ready for the same things at the same time. As preschool teachers, we should be meeting our students where they are at with an eye to the next stage. Our job is to be thinking of how we can support, not force them to get there. In any preschool class no matter what school, geographic area, or socioeconomic class you will find a wide range of abilities, this is normal. Differentiation allows you to provide a rich experience for all of your students. Differentiation may seem like a lot of work, but it makes your job easier, I promise. When the materials and activities are differentiated, they fit your students’ needs. And that fit equals better engagement, less frustration, and less boredom. 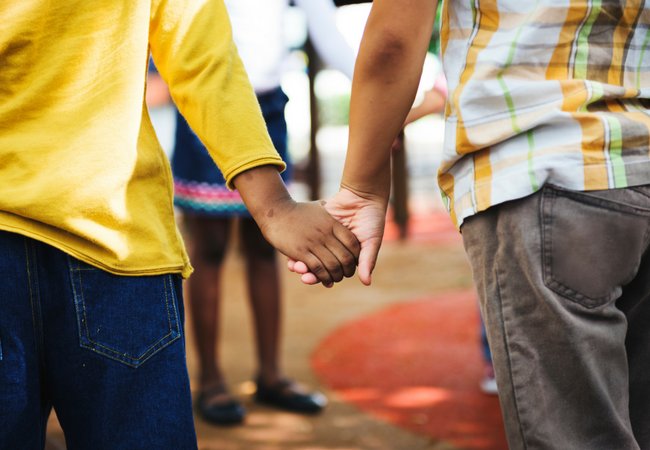 You can probably guess what this means… WAY better behavior, giving you as a teacher more time to focus on connecting with the students through play. Let me explain; before you can effectively differentiate you need to know your students. The best way to create a connection with your students is to get on the floor and play. Talk with (not at) your students and more importantly listen and you will learn not only what they are capable of but also what they love and what makes them tick. When you have that knowledge, you can better choose activities, themes, even books that will better engage the children in your classroom. One morning in my classroom I put out the play dough and added letter tiles to the table. Nearly all my students who were 2.75 years ”“ 3.5 years at the time spent some time at the table exploring. Some children ignored the letter tiles completely. They were uninterested in letters and used the play dough and other tools at the table to squish and create. 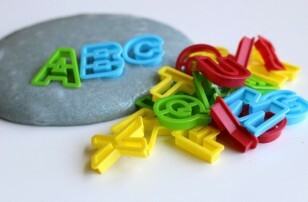 Other children hid the letters in the play dough and identified them (some correctly, some not). Some used the tiles to spell invented words, and one used them to correctly spell her name. I didn”™t tell any of the children how to use these materials; instead, I played with them, scaffolding their learning when they were open to it. I knew that this little girl could recognize the letters in her name, but I didn’t know that she could spell it. I learned that by playing play dough with her that day. Truly, I can’t stress enough how important ample play is for a successful preschool classroom. When you chose the materials for your classroom ask yourself can all my students use this? It’s OK if the answer is no but consider who will be able to and how they could potentially use it. Brainstorming how children can use the materials is a big part of differentiation in this age group, but it’s worth your time. 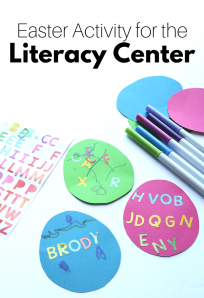 Once you have explored the materials when they are out in your classroom, you can easily shift a child who needs some extra support to succeed or on the flip side an extra challenge to stave off boredom. 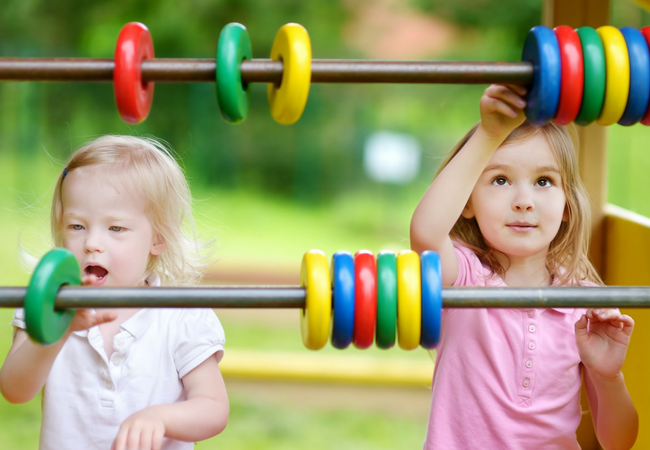 As you circulate during playtime, you can help both those children once you have a good handle on all the different ways you can use the materials. All our thematic units are filled with flexible materials and lessons. Learn more about them here! Depending on your school structure you may have to do formal assessments during the school year. But what I am referring to here is informal assessment in your preschool classroom. As early childhood educators, one part of our brain should always be assessing our students. I am not suggesting testing any child. I am speaking of observing where they are, what they are capable of, and what the next steps may be. This happens consistently during play. For example; when you see that Gretchen can hold scissors properly and is adept at cutting play dough take note and maybe the next day offer her paper with lines to cut. 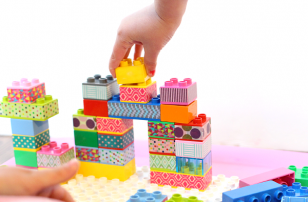 Or if Henry has been building tall Duplo towers and offering classmates a hand when blocks are stuck together take note and bring in some small Lego. Sit and play with him to see if his fine motor skills have progressed enough to use them without frustration. What About Whole Group Lessons? The focus of a whole group lesson in preschool should rarely be about learning facts; if you have a whole group time, it should be about building community. Giving your students a chance to practice the task of participating in a group. Differentiation in this setting is more about realistic expectations and helping students succeed. Keeping your group time very short, allowing children movement, and providing activities that do not have a right or wrong outcome are all ways to achieve this. 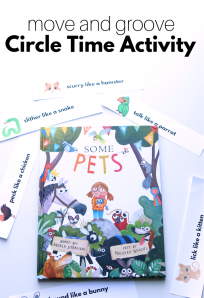 Read more about circle time here. 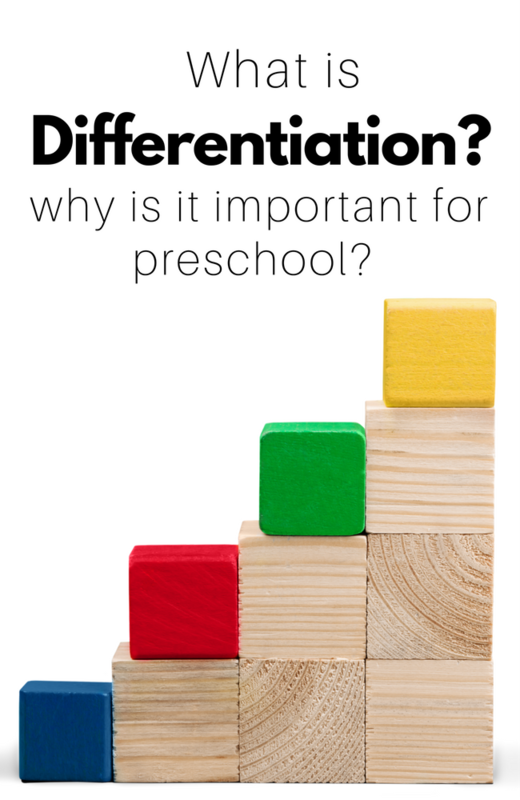 Differentiation is key for an equitable and positive preschool experience for all our students, practicing how to do it will help make it second nature and help you provide the best education possible for your students. Next Post: Valentine’s Day Mini Thematic Unit on Sale Now!